A ‘call for sites’ that may be suitable for Gypsy, Traveller and Travelling Showpeople accommodation. The consultation documents are available on the Cheshire East website at www.cheshireeast.gov.uk/localplan and in Cheshire East customer service centres and libraries. Responses should be returned to Cheshire East using the consultation portal on the website; by email to localplan@cheshireeast.gov.uk; or by post to Spatial Planning (Westfields), C/O Municipal Buildings, Earle Street, Crewe CW1 2BJ by no later than Monday 22nd October 2108. 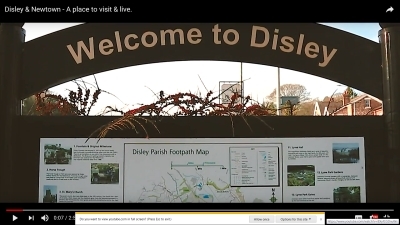 With reference to the Draft Site Allocations and Development Policies Document (SADPD), Disley Parish Council has issued a statement setting out the Parish Council’s position. This statement is available to view or download HERE and is also available from the Council Offices at Disley Community Centre.